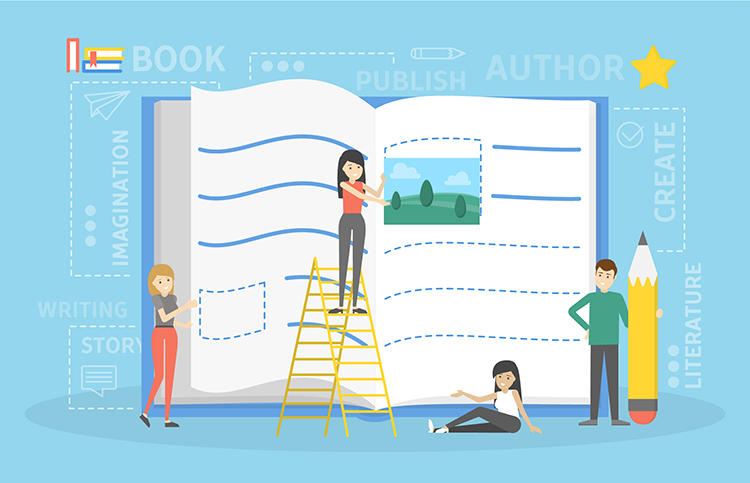 Authors are all keen to reach the same goal – publishing a book that is the very best it can be so they can attract the widest audience possible. To achieve this outcome their message must be clear and the book design must be appealing so that readers are engaged from beginning to end. Once you’ve written you manuscript – drafting and redrafted it until you think that can’t make it any better yourself – it’s time to consult a professional. But paying for all the services you need to self publish your book can be an expensive exercise. 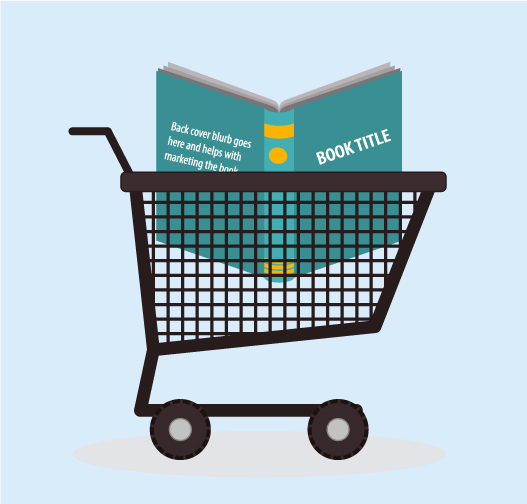 Editing, proofreading, cover design, page layout/typesetting, printing, ebook conversion and the cost of uploading your book to online retailers such as Amazon, can all add up. But while it’s a wise investment to pay publishing professionals to help you produce your book, there are certain things you can do at the outset to help you save money. If you make sure your manuscript is properly prepared, your editor or designer won’t need to spend time on tasks that you could have completed yourself. The well-known saying ‘Time is money’ is absolutely correct! Never send the first draft of your manuscript to your editor. After you’ve finished working on your manuscript, put it away for a week or two, and then get it out again to reread it. It’s amazing how putting a little distance between you and your writing can give you a different perspective. Keep redrafting until you’re certain that you can’t improve it any further. If you’re brave enough and not overly sensitive to feedback, ask others to read your manuscript and give you their opinion. For fiction writers in particular, there’s a tribe of people called beta readers who will read your work for free and give you their opinion regarding what they think works or doesn’t work in your story. If you can find someone who is well versed in your book’s particular genre, it can be a match made in heaven. However, beware of those who only give you positive feedback. You also need to hear constructive criticism at the macro level – Does the story make sense? Are the characters believable? Do any parts of the story drag? At this stage don’t be too concerned about micro-level problems, such as spelling or punctuation. When you type up your manuscript in MS Word or some other word formatting software program, it is not necessary to go to a lot of effort to make the page layout look ‘pretty’. That’s the book designer’s job. Varying fonts or adding colour just makes more work for the designer as they will need to delete all of that extra formatting in order to apply the font styles that work best for your particular publishing project. It is important to note that a lot of text formatting doesn’t transfer correctly from Microsoft Word to Adobe InDesign (common graphic design software used for formatting/typesetting books). The best approach is to keep it simple – use a standard font such as Times New Roman or Arial in 12 point and single spacing between lines. By all means, use italics and bolding where your writing needs emphasis but steer clear of that underline button. In the world of publishing today, using two spaces after the concluding punctuation mark in a sentence is a no-go. One space is all that’s required. Consider the designer’s frustration (and the extra work that is involved) when even before importing your Word document into InDesign, they need to spend time fixing this common error. And for your own sake, keep in mind that they unusually charge by the hour. To keep your editor happy, always number the pages of your book manuscript. If they need to discuss a certain point in your manuscript, it is far quicker for them to direct you to a particular page number and line number. And if for some reason your editor is marking up your manuscript in hard copy and a rogue breeze causes the pages to flutter to the ground, they’ll be more likely to look kindly upon you if you’ve numbered your manuscript’s pages. The best way to show your editor where a new paragraph starts in your manuscript is to indent it. If they have to guess … then you know what comes next … time equals money. A much worse transgression is when authors use the space bar in order to move to a new paragraph. This action will also irritate your designer. They may swear just a little bit and will definitely add minutes to their time sheet. Microsoft Word has a variety of ways in which you can set up your page so that you need to do as little extra work as possible when typing in text. If you have written a non-fiction manuscript, you may wish to include photographs, illustrations, diagram, charts or tables in your book. With your designer’s welfare in mind (and your wallet’s! ), create a image folder separate from your manuscript where you assemble of the graphics you want to include in your book. A good practise is to use placeholder text to advise the designer where you would like your images to appear in the book (i.e. type in the relevant position in your manuscript: ‘Insert photo 12 here’). Where possible be sure to supply your images in high resolution format to ensure that they will not appear blurry when printed. If your images are too large to send as email attachments, you can use a file sharing platform such as Dropbox or WeTransfer or even copy your images to a USB and post it via snail mail. Most editors these days mark up written text in MS Word using the Track Changes function. It’s the easiest and most efficient way for editors to communicate their professional opinion with their clients. If you are not already aware of this feature in Word, it is worthwhile to make the effort to becoming familiar with it. If you are able to accept or reject your editor’s suggested edits yourself, it will save them a lot of time and of course, benefit you financially. Using Track Changes may seem daunting at first but if you can master it, you’ll be glad you did. To ensure you have a smooth ride on your self-publishing journey, everyone involved needs to work together as a team. Investing time in applying these tips to your manuscript and learning how to use all the technology tools that are available to you is a worthwhile practice. Not only will your publishing partners appreciate your efforts, but your budget will be healthier as a result. Celebrating our author clients’ publishing successes! 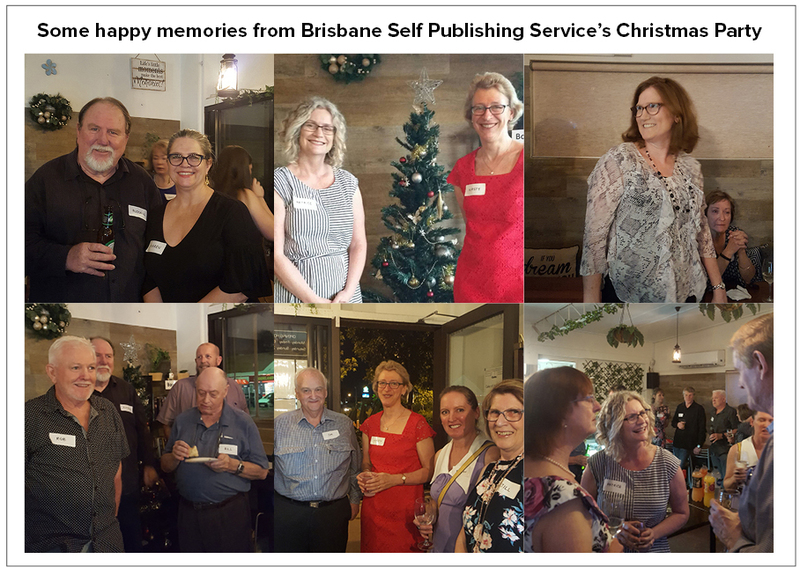 The team at Brisbane Self Publishing Service were delighted to host our inaugural Christmas Party and author networking event on Thursday 29 November 2018 at Site Cafe in Banyo. And what a great night it turned out to be! Coinciding with our five year anniversary, the evening proved to be a great success with some people travelling from as far away as Maleny on the Sunshine Coast, Toogoolawah in the Brisbane Valley and Lismore in northern NSW to attend our party. Drinks and nibbles flowed, as did engaging conversations between clients and our associated service providers. Everyone was keen to exchange ideas and share personal experiences of their writing and self-publishing journey in a relaxed and informal environment. As most of the interaction we have with our clients is by way of email or phone conversations, it was a wonderful opportunity to meet many of our authors face to face for the first time and to finally put a face to an author’s name. It was also good to be able to introduce our ‘behind the scenes’ service providers who have partnered with us to help our author clients achieve their publication goals. In addition to our core service offerings of manuscript appraisals, editing and proofreading, page layout/typesetting and book cover design, we also provide print management, ebook conversion/distribution, audiobook production, website design and book marketing advice. Not everyone has taken advantage of all of these options but it was wonderful to see everyone chatting so openly with one another about their writing and publishing experiences. It was also interesting to find out more about what prompted our clients to take the leap of faith to self-publish their manuscripts; what inspired them to write about their chosen topic; how they got started; and what they’re currently working on. At Brisbane Self Publishing Service we continually strive to create a personalised and supportive experience for all our clients. So naturally it was gratifying for us to see a large group of published and yet-to-be published authors coming together and enjoying themselves at our first networking event. In addition, the positive feedback we’ve received since the party, affirms we’re on track with our objective of providing a Brisbane-based hub for indie authors with friendly, professional advice and support on offer. We love what we do and feel privileged that our clients are willing to put their trust in us to help them realise their publishing dreams. We are looking forward to seeing many self-publishing writers at our next author networking event. Remember to keep an eye on our website ‘Events’ page for more details. 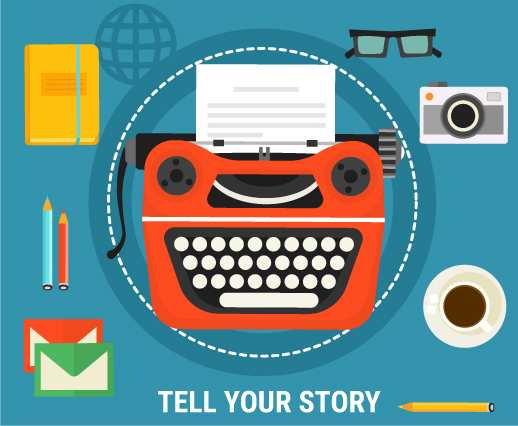 Memoir or Autobiography: Which writing genre suits your story? These days, there is a lot confusion surrounding the genres of memoir and autobiography, with many authors unsure of the actual purpose of these writing styles. People will often say that they are writing their autobiography when they really mean they are writing a memoir. Despite sharing some similar features, there are fundamental differences between a publication that is defined as a memoir and one that is considered to be an autobiography. According to well-known American author Gore Vidal: ‘Memoir is how one remembers one’s own life while an autobiography is history, requiring research, dates, facts double-checked’. So before you decide to embark on writing your life story, it is important to have an understanding of the key similarities and differences between memoirs and autobiographies. Both memoirs and autobiographies are written in the first person and they are true accounts of the author’s life. The author shares personal information with readers, in this way giving their audience genuine insight into the author’s thoughts, motivations and feelings. Memoirs usually focus on one or two central themes and explore one particular area or timeframe of the author’s life in depth. This might include sharing their experiences of overcoming an illness, a near-death experience or some other life-altering event. Memoirs usually cover a brief period of the author’s life, focusing on stories that relate to the main theme. The author may hop back and forth between different timeframes or they may start their memoir at a random point in time, objectively revisiting an extraordinary life event. Autobiographies, on the other hand, are usually structured chronologically; they are the story of the author’s life from birth until the time of writing. They cover a much broader time span and no one incident is considered to be more important than any other. Memoirs are more personal than autobiographies. Memoir authors reflect on what they have learned from their experiences and share their innermost thoughts with their readers. The author may offer opinions and question their own beliefs throughout the memoir without ever reaching a definitive answer. The story in a memoir relies on the author’s memories and may not be entirely true – for example, it is not possible to recount conversations exactly as they were spoken at the time. In contrast, autobiographies include factual material that can be verified by readers. They are often written by celebrities whose fans are interested in the details of their lives and how they became famous. In contrast, anyone who has an interesting message they wish to share with others can write a memoir. Regardless of which genre you decide on, it is important to remember that your writer’s voice must engage the reader from the very first sentence. Your personality should be conveyed through your unique author voice. In memoir writing, using a conversational style helps readers to feel you are speaking to them personally – almost as though you are confiding in them. On the whole, memoirs have an overarching theme such as triumph over adversity where the author has experienced terrible hardship but through courage and persistence has been able to prevail and succeed. When writing a memoir it is important to convey your character flaws as well as those strengths that helped you through your ordeal to demonstrate that you are a well-rounded human being who people can relate to. Memoirs give readers the impression that what they are reading is true as opposed to imaginary (as in fiction). Therefore, your writing must be candid or readers will disengage with the narrative. Readers can usually detect when a writer is being dishonest. This is due to the fact that there is something uneasy about the writing style which makes them wonder why they don’t believe what they are reading. Memoir readers want to be simultaneously entertained and enlightened by the subject matter. Always keep your audience in mind and avoid meaningless details or wallowing in self-pity. Long-winded, self-indulgent narrative will cause your readers to lose interest and feel unsympathetic towards you. There are many reasons why people want to record their personal history. Maybe it’s because they learned an important life lesson that they want to share with others. Or perhaps they want to publish a record of their life for future generations of family to enjoy. Many authors decide to write down their memories as a form of therapy. Whatever the reason, by honing your understanding of the different styles associated with memoirs and autobiographies, you will be well prepared to tell your story. According to the Maquarie Dictionary a blurb is ‘an announcement of advertisement, usually an effusively laudatory one, especially on the jacket flap or back of a book’. For authors, the back cover blurb is an essential marketing tool for their book. It tells potential readers a little bit about the book’s contents without giving too much away. It explains why someone should buy and read a book, and shares snippets of information about the author. Blurbs are usually found on the back cover of a printed book. An ebook blurb is more likely to be at the front. Ebook store websites often use a shortened version of a printed book’s blurb to describe what the book is about to assist people browsing their pages. Readers visiting a book store (either ‘bricks and mortar’ or virtual) will first be attracted by a book’s cover, then head straight to the blurb. A well-written blurb helps to converts potential readers into paying customers. Blurbs should be brief and punchy; around 100–150 words is ideal. An attention-grabbing headline or tagline is a good tactic to use at the start of the blurb. The tone should be upbeat with a catchy opening sentence that taps into a reader’s emotions. Often the first sentence is a question which is designed to set up a query in a reader’s mind. The genre, main theme and protagonist should be mentioned early, then some mystery should be created around the main conflict. Finally, it’s a good idea to include in a few details about the author that gives them credibility as an authority in their subject field or as a capable writer. This could include the fact that they are already a published author. By the time an author is ready to write the blurb for their book, they have become so involved in the story that they may find it difficult to distance themselves from it. This is where an external viewpoint from someone else who has read the manuscript is useful. And a professional copy writer will know just what to say and how to say it to entice readers to buy the book. An engaging blurb that is engaging and cleverly written conveys the message to the buyer that they are purchasing a good quality book. Employing a professional to write your blurb is a wise investment and one of the key factors in ensuring the success of your book.